The QNAP TVS-1271U-RP, featuring the easy-to-use QTS operating system, provides a reliable and scalable NAS solution to fulfill data backup, file synchronization and remote access. 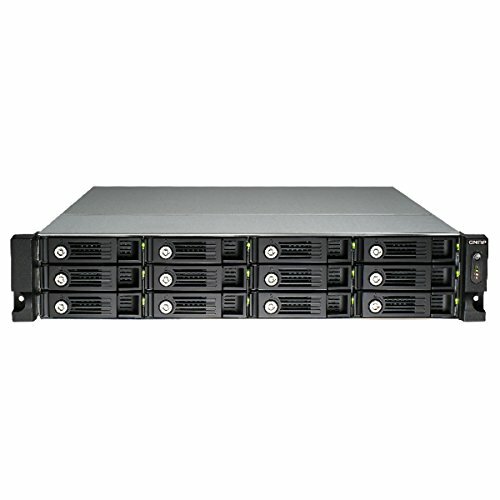 The TVS-1271U-RP is 10GbE-ready, delivers exceptional performance, and supports cross-platform file sharing, comprehensive backup solutions, iSCSI and virtualization applications, and many practical business functions, making it the ideal choice for SMBs to secure important business data. It also includes abundant multimedia applications backed by its powerful hardware specifications.